Steve MacLaughlin is the Vice President of Data & Analytics at Blackbaud, the leading provider of technology and services to the nonprofit sector. Steve has spent 20+ years driving innovation with a broad range of companies, government institutions, and nonprofit organizations. MacLaughlin has been featured as a fundraising and nonprofit expert in many mainstream publications, including The New York Times, The Washington Post, The Los Angeles Times, The Boston Globe, The Chronicle of Philanthropy, USA Today, Bloomberg, and has appeared on NPR. Steve is a published author of a chapter in the book People to People Fundraising: Social Networking and Web 2.0 for Charities (Wiley, 2007), and a contributing co-editor of the book Internet Management for Nonprofits: Strategies, Tools & Trade Secrets (Wiley, 2010). He has had original articles featured in many publications, including Advancing Philanthropy, Philanthropy Journal, Fundraising Success Magazine, The NonProfit Times, and Civil Society. 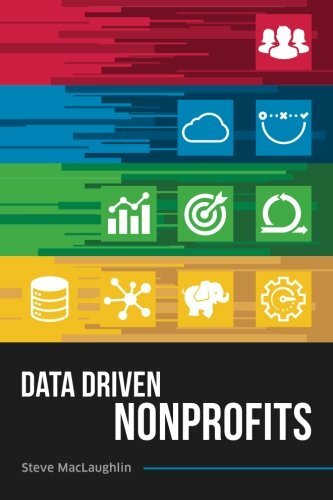 He has also written the “Charitable Giving Report” for several years and it has become one of the most downloaded and cited reports on both overall and online fundraising trends. MacLaughlin earned both his undergraduate degree and a Master of Science degree in Interactive Media from Indiana University.